A hat lover myself, I am constantly asked about how to wear a chic hat, without looking overdressed. As we try to survive this seasons onslaught of moody monsoon madness, and all the rain it brings, we are left with more choices in terms of dressing up an outfit by adding accessories. 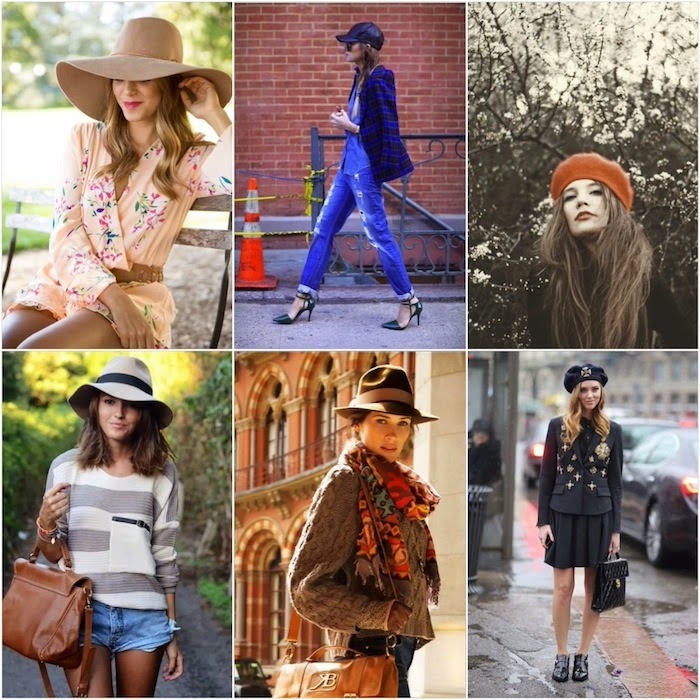 These are my favorite hats and looks of the season. Don't be afraid to mix hi+lo, and patterns, and switch things up with some color. A hat is a great way to hide a bad hair day, but it is also fun to play with different hair styles to enhance a look. The bottom line is, it's a hat! Have a little fun with it.. extra points for those who can pull off a red beret, since I am still reeling in my Paris trip.. which I'm about to exit, as my flight is boarding!